Sen. Kate Brophy McGee, R-Phoenix, introduced Senate Bill 1247 with the recent controversies of Southwest Key’s Arizona operations in mind, she said. In August, the Arizona Department of Health Services found rampant deficiencies in Southwest Key’s fingerprint and background check compliance, and the state later moved to revoke all of its licenses. They reached a settlement in October. 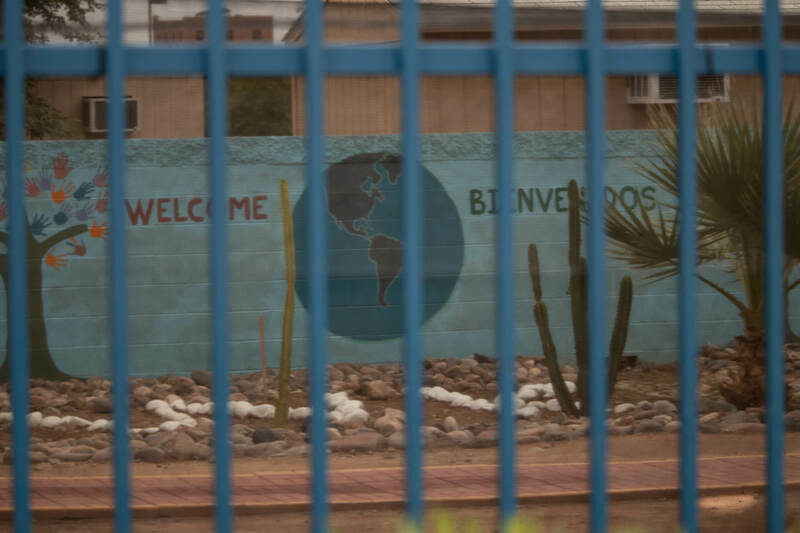 Southwest Key operates shelters for migrant youth who arrived in the country alone or were separated from their parent. The minors are placed in shelters while pending reunification with their families or release to sponsors in the US. Until then, the migrant children are custody of the federal government and operators of shelters like Southwest Key contract directly with the U.S. Department of Health and Human Services’ Office of Refugee Resettlement. ADHS licenses Southwest Key to operate residential behavioral health centers in Arizona, but its enforcement actions are limited. To inspect a health care facility for compliance, ADHS has to receive a complaint. Brophy McGee wants to add stronger enforcement for more than a hundred residential health care facilities for children and give the state more oversight on the people employed there. Because facilities like Southwest Key don’t contract directly with the state to provide services to children, its employees do not have to submit to background checks through the Department of Child Services’ central registry, which contains names of people with confirmed reports of child abuse or neglect. “The central registry is a separate, more robust list. It captures more people,” said Will Humble, executive director for the Arizona Public Health Association. There are 81,000 names in that registry, according to The Arizona Republic. Brophy McGee’s bill adds central registry background checks for all healthcare facilities that service children and don’t contract with the state. An advocacy group for migrant children said the bill doesn’t do enough. Myron Scott, a lawyer with the Uncage and Reunite Families Coalition — which has called for more state oversight over Southwest Key’s shelters — said Brophy McGee’s bill is a good first step because it allows for unannounced inspections and strengthens background check requirements. But the group wants to see legislation addressing the particular needs of migrant youth, Scott said. “We believe the legislature should investigate and consider enacting a separate licensing status for migrant youth facilities or, minimally, enact or direct the regulatory agencies to promulgate standards of care that specifically meet the emotional, psychological and cultural needs of migrant youth,” he said. Concerns with Southwest Key’s operations have been ongoing since it was in the national spotlight this summer. Local and national media reports exposed a record of sexual misconduct allegations at Southwest Key facilities and other incidents, including runaway cases. In September, a former Southwest Key employee, Levian Pacheco, was convicted of abusing seven teenage boys at a facility in Mesa. Maricopa County Sheriff Paul Penzone said this month his agency failed when investigating child abuse reports involving three minors at a Southwest Key shelter in Youngtown, which the federal government shutdown in September. Southwest Key recently hired a consultant to vet its Arizona operations, as required by the October settlement.